Granite foundation repair understands the special requirements of commercial foundation repair and apartment foundation repair in the Dallas and Fort Worth areas. We service the entire DFW area including the suburbs of Allen, Arlington, Plano and Lewisville, to name but a few areas. We are fully insured, and registered with Compliance Depot. The Bentonite soil with its high concentration of clay is at the root of most foundation problems in commercial buildings. Protecting your business means that you never have to miss a step – even if your commercial building or apartment needs foundation repairs. We understand the challenges business owners face – you can’t afford to close for foundation repair and you must maintain customer satisfaction. Let us help you make any needed foundation repairs seamless and non-disruptive to your daily business operations. Granite is a leader in commercial foundation repair and apartment foundation repair solutions. We have proven systems that allow our teams to repair all types of commercial foundation problems unique to the Dallas/Fort Worth metropolitan area. In many instances, steel piers provide the best long-term foundation repair solutions for commercial buildings as well as apartments. We also install pressed concrete pilings. Let us come to your site for a free evaluation and consultation. Our team of skilled foundation repair experts have extensive experience in apartment foundation repair. Allow us to provide you with a free evaluation or consultation on your apartment property today. What Makes Our Dallas Foundation Repair Services Unique? Unlike many foundation contractors who at times take shortcuts to complete foundation projects, our Dallas foundation repair services ensure your foundation problems are effectively addressed at the first instance to avoid future spending on repairs. Your business is your most important and largest investment, so we work to address all your needs. Granite Foundation Repair was Awarded 2017 Super Service Award from Angie’s List! Feel free to check out our reviews and see what our past clients have said about us. As evidence of our professionalism, we’ve earned an A+ BBB rating and numerous Angie’s List Super Service Awards. Our repairs are professionally done and well-structured to minimize disruption to your home or business. Most of our projects are completed within 1-3 days. Considering the sensitivity associated with foundations, always make sure to work with a qualified professional. Should you suspect your foundation has a problem, don’t hesitate to call Granite Foundation Repair today! 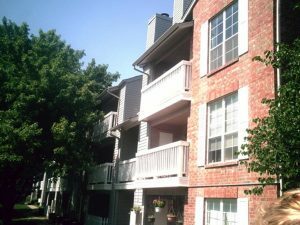 Contact us by email or call 972-412-2171 or 817-909-2016 to schedule a professional foundation evaluation of your commercial building or apartment. We have an A+ rating with the BBB, carry workers compensation insurance, liability insurance, and offer a warranty on every foundation repair we complete.